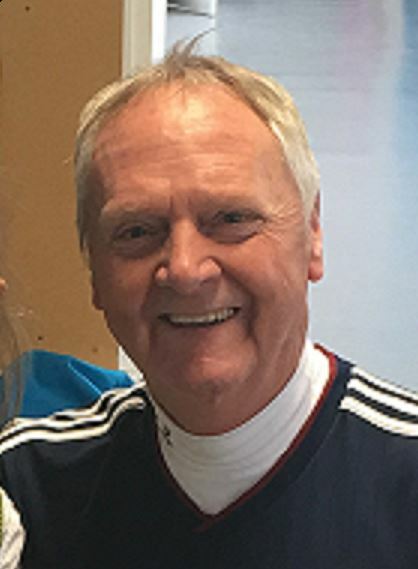 Hello there, my name is George Blackie and I have been a TA foot soldier seriously since 1998 (first away game 1982) but traveling regularly since the world cup in France. Travelled on my own to that tournament and, as you would expect, bumped into a lot of fellow optimists and dreamers probably fuelled by the copious amounts of alcohol that we consumed. Have been following Scotland home and away ever since and, I guess in common with most of you out there great trips have only been spoiled by 90 mins football (with a few exceptions where the 90 mins have added to the enjoyment). A few years ago now, myself and a very good pal I met on that trip to France (Neil Forbes), came across some guys involved in the Sunshine Appeal (TASA) and were encouraged to get involved in some fund raising activities. Thus I assisted in organising the Sunshine Appeal Kilted golf day. Since then we have had 3 golf days and we are continuously thinking of ways to raise funds in order that we can continue donating to a children’s charity everywhere Scotland visit. Most of these donations whilst extremely rewarding to be part of, can be quite a sobering(!) experience given that in all cases it’s children and often the kids are extremely ill. 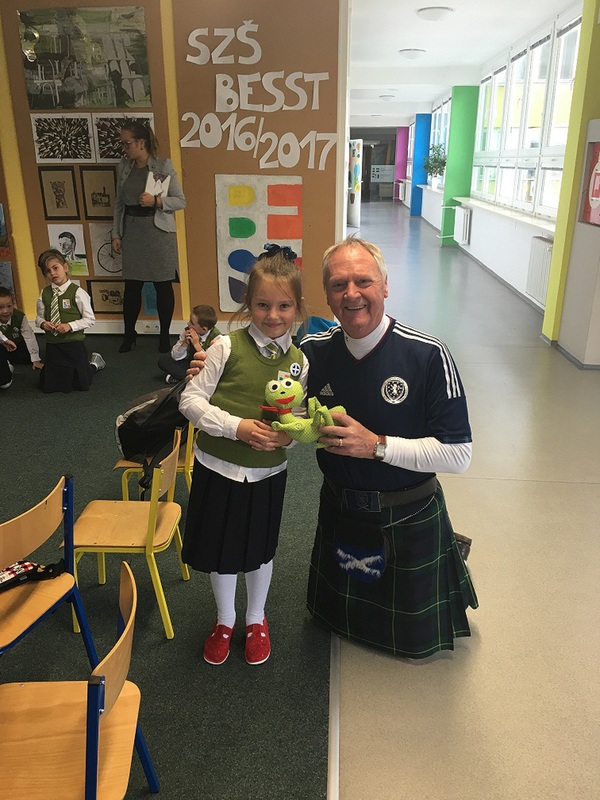 The last donation in Slovakia however, was a really enjoyable one in as much as it was more to do with prevention and was a charity aimed at the psychological well-being of the kids, called “Zippy’s friends”. We visited an infant school to see how the money would be spent and we were greeted by about 30-40 children aged 4-7. It was fantastic. They asked questions about our kilts and glengarries and sang various school songs for us. I have to say the star of the show was Dougie Wotherspoon who piped for us on this occasion. An absolutely fantastic day. To be able to see the difference the Tartan army Sunshine Appeal makes to these children is way more important than a game of football.